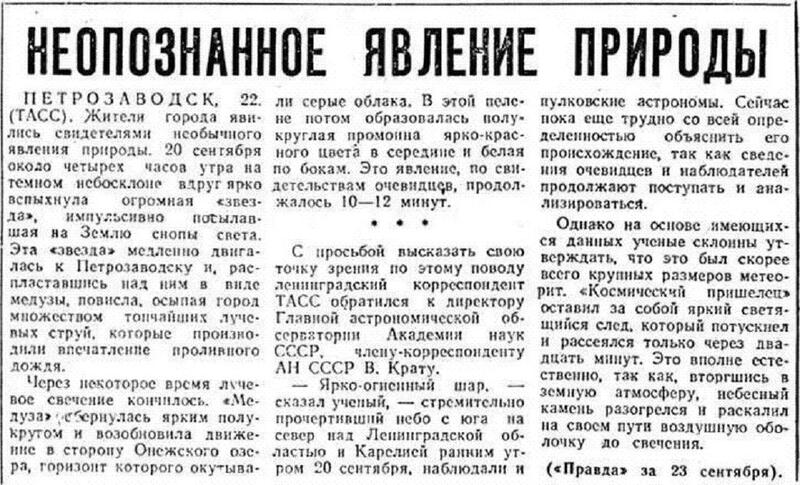 Discussed in this article is about the celestial phenomenon that in the early Soviet reports has been called "the phenomenon of 20 September 1977". He later became known as "the Petrozavodsk phenomenon", "Petrozavodsk incident", the "Petrozavodsk miracle" and, of course, the most common - "the Petrozavodsk phenomenon". On the territory of Russia and countries of the former Soviet Union in the "Petrozavodsk phenomenon" typically include developments in the North-West of Russia not only directly 20 September 1977, but in the period from September 1977 to February 1978. 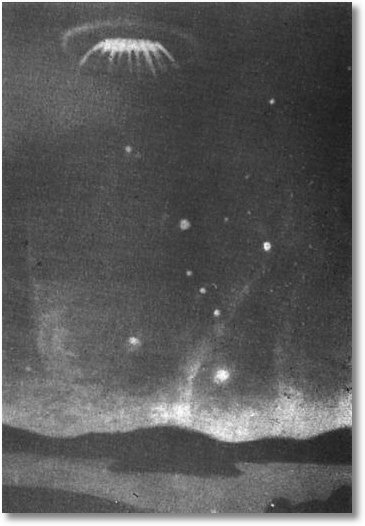 The rest of the world "Petrozavodsk phenomenon" is called only a number of celestial events occurred on 20 September 1977. These events were registered not only in Petrozavodsk, but also in the entire continent, from Copenhagen and Helsinki on the West to Vladivostok in the East. 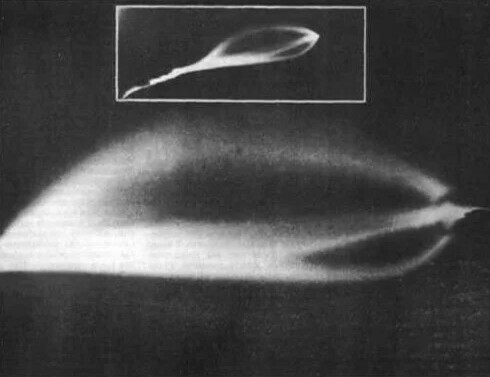 So, 20 September 1977 around 4:00 to 4:10am (Moscow time) in the Northern part of the sky over Petrozavodsk and its environs observed an object which left quite a long glowing strip, which it resembled Medusa. Most of the observations, as mentioned above, occurred between 4:00 and 4:20 Moscow time, or between 1:00 and 1:20 UTC (coordinated universal time), when the atmosphere appeared at least 48 unidentified objects (according to eyewitnesses). First strange phenomenon in the sky was observed in Medvezhyegorsk, then in the Karelian village of Loukhi, and later over Kovdor and Palanga (Lithuania). Then, at about 3:00 to 3:25 a.m., an unidentified glowing object was observed by personnel of the Leningrad Maritime trade port. At 3:30 a flying object was discovered by the crew of the Soviet fishing vessel Primorsk, which departed from a coastal Harbor. The object seemed to be silently moved from the East and near Primorsk he abruptly changed direction to the North. Also in the Newspapers there have been reports about the observation of a luminous object over Copenhagen (Denmark) Finnish pilots of aircraft flying from Rome. The color of the object different witnesses mentioned different: white, yellow, purple, and even bluish green, but all agreed that the sound was not. Glowing objects have been observed in different parts of the Soviet Union, mainly in the North-West. 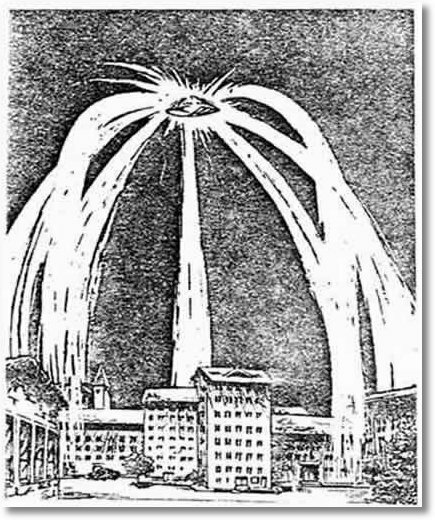 It was reported "bright, luminous bodies surrounded by extended shells and emitting light rays or jets of quaint shapes". A detailed report about an unidentified object was given by Soviet writer and philosopher Yuri Linnik. He observed the object on his dacha near Navevo about 3am through an Amateur telescope with an 80-fold increase. The object, surrounded by a dim, translucent ring, had a color "dark amethyst", intensely lit from the inside. 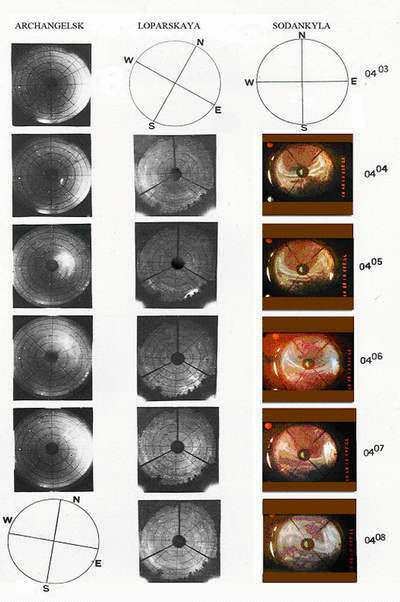 Edge listopadovogo object had 16 spots (described by Linnik as "nozzles") which emitted pulsating red rays at an angle of 10-15 degrees. The angular size of the object was estimated at 20 minutes of arc. Object passed near the star Gamma Geminorum, Eta Geminorum, Capella, 172 Camelopardalis, 50 Cassiopeiae, Gamma Cephei, Psi Draconis, Draconis 16, Psi Herculis, Kappa Coronae Borealis and Delta Coronae Borealis. The object stopped near Gamma Cephei at an azimuth of 220°. Near Kappa Coronae Borealis, at an azimuth 340-350°, the object changed its direction to the 30-35° West longitude. He finally disappeared in the North on an azimuth of 340°. The flight duration was 15 minutes. Unfortunately, to have survived only one copy of a photo of this phenomenon, and it's rather poor quality. Thus according to the eyewitness descriptions was made many sketches for illustrations in various articles. The earliest published report of the Petrozavodsk phenomenon was written by a TASS correspondent Nikolai Milov, who described the unidentified object as a "huge star" that "flashed in the dark sky" at about 4:00 a.m. local time, "impulsively sending sunbeams upon the Earth." The report was published in the main Soviet press ("Pravda", "Izvestia", "rural life" and "socialist industry"). Preliminary data analysis at the Academy of Sciences of the USSR in 1977, showed that eyewitness accounts are complementary. 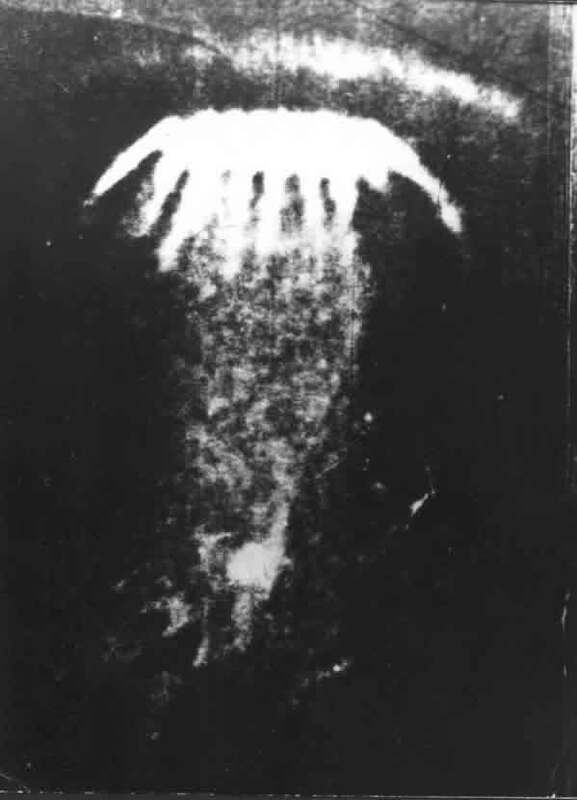 It turned out that the "star", having an initial brightness that is comparable to Venus, spread over Petrozavodsk in the form of a jellyfish, "showering the city with a multitude of very fine rays which created the image of a flood of rain, after some time the luminescent rays ceased", "the jellyfish turned into a bright semicircle" and resumed its movement towards Onega lake. According to descriptions of eyewitnesses, the phenomenon is very similar to the observed in the area of Baikonur launches of space rockets. According to the main version of events, it is believed that in 1977 over Petrozavodsk (or a few dozen kilometers away, but at high altitude) can fly the rocket with military satellite "Cosmos-955", launched it at 4:00 from the Plesetsk cosmodrome. In favor of this version says also that the phenomenon was observed in the pre-dawn hours, when at high altitudes the sun was already up and was able to light the exhaust jet of the rocket, which gives the object the appearance of Medusa. TASS about the launch of the spacecraft "Cosmos-955"
These data are not only similar objects in the sky that appeared later, but the official publications. For example, in the magazine "North industrial" № 2, 2013 published an article "Optical phenomena in the atmosphere during launch and maneuvers of rocket and space technology", where information was illustrated with a sequence of photographs obtained in Arkhangelsk, Loparskaya and sodankylä with cameras full of the sky after a missile launch of an artificial Earth satellite "Cosmos-955" from the Plesetsk cosmodrome. Figure 1 shows pictures of the entire sky, taken after 1 minute (time goes from top to bottom) obtained in the observatories Arkhangelsk (64,54 N, 40,54 E), Loparskaya (68,63 N 33,20 E) and sodankylä (67,75 N , 27.00 E). It's a five minute event illustrates the rapid development of artificial luminous cloud that looks like a jellyfish. Camera all-sky Observatory in Arkhangelsk (left column in Fig. 2) even managed to take the luminosity of the torch in the second frame in 01.04 UTC time (UT) or 04.04 Moscow time (MSK), the Archangel and its rapid development in the next interval. In Arkhangelsk the all-sky camera at that time there was no activity of the Aurora. The estimated height of the luminous cloud was a little more than 200 km from the Camera all-sky Observatory Loparskaya (Central column in Fig. 2) shows a bright emission region with a sharp boundary in the South-Eastern part of the sky at 04.05 ET (01.05 UT) and the Western region is to the East of Zenith in 04. 07 GMT. Simultaneous activity of the Aurora is clearly visible in the first and second frames, where two auroral arcs were stretched out from East to West near the local Zenith. The second frame (similarly to the second frame Loparskaya) shows a bright spot of glow near the Eastern edge of the image. The next frames show the development of clouds in the form of "Medusa", accompanied by a radiant structure of an expanding glowing cloud (04.08 GMT). It should be noted that aurorae and luminous cloud of products of combustion evolved independently from each other and were clearly visible to ground observers in the twilight. The peculiarity of this case was such a high value of brightness due to scattering of sunlight on emitted products of combustion that luminous cloud could be seen even from Leningrad (St. Petersburg) and Estonia at a distance of about 1000 km and more. The size of this luminous cloud was ~ 100-1000 km at heights of 100-700 km, respectively. The appearance of the object is repeatedly compared with the modern traces of a missile launch by finding obvious similarities. Despite the above data, the origin of the object remains controversial. For example, a researcher Oleg Pruss, citing his 18 years experience at Kapustin Yar, says: "I know firsthand that the sky during a rocket launch has a spectacular view but over Petrozavodsk was something completely different." However, as noted above, the countries of the former Soviet Union to the phenomenon why-that considers not only the events of 20 September 1977, but a series of unexplained till the end of incidents (such as the appearance of holes in the glass), which occurred in the period from September 1977 to February 1978 in the North-West of Russia. Petrozavodsk phenomenon many still attribute to the UFO phenomenon and I believe unexplained.